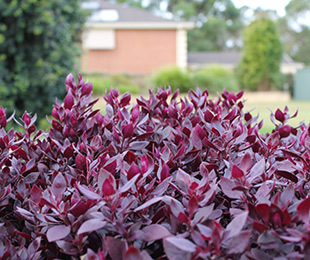 Description: Little Ruby™ Alternanthera is the perfect mounding ground cover with a compact, spreading habit and deep burgundy foliage, making it a real stand out plant in the garden. It is approximately a third the height of the common form. This Alternanthera loves humidity, but can also tolerate frost better than most forms. In very cold climates, it will still need to be in a sheltered position. Little Ruby™ Alternanthera provides a display of white flowers in spring. 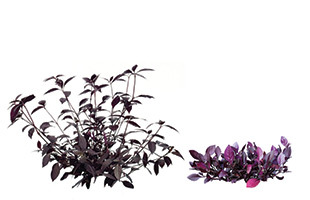 Uses: Ground cover, border plant, and for containers. Position: Full sun to part shade. Little Ruby™ Alternanthera loves humidity, is heat tolerant and can handle light frost better than other forms. It will need to be planted in a sheltered position to protect it from heavy frost. 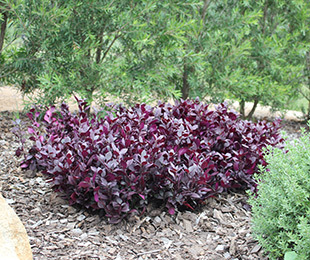 In frost-free areas Little Ruby™ Alternanthera can be planted in full sun to part shade. It requires well drained moist soils. Provide with adequate water as required. Keep moist in dry weather and protect from heavy frost. Where it works: Light to moderate frost regions for all states (incl. NT) and all frost free areas.